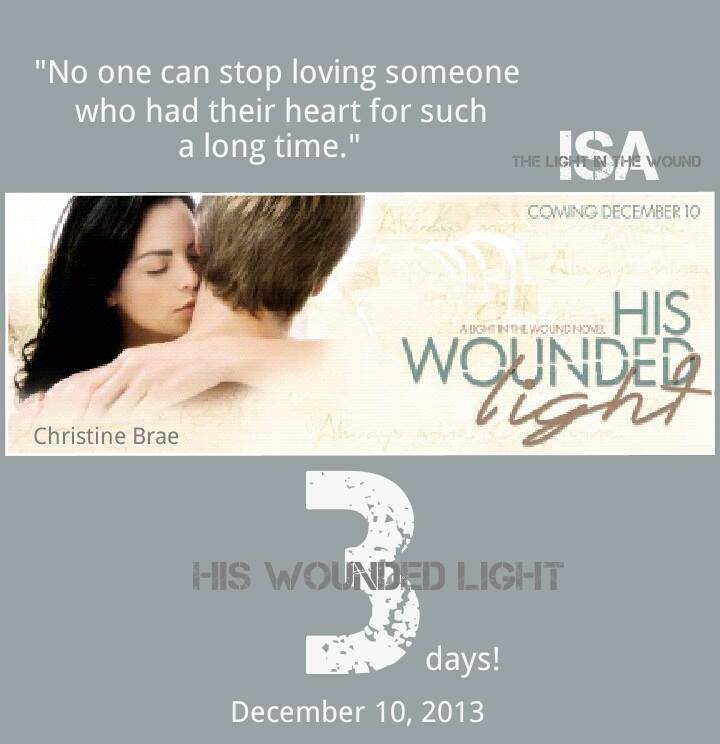 His Wounded Light! Three More Days! Happy Saturday! I can’t believe that Release Day is just around the corner! Anyone who has published a book knows just how nerve wracking these past few days have been…proofreading, formatting and getting ready for the big day. I thought I’d take the opportunity to thank everyone who has played a part in this experience. There are so many people who have taken this journey with me, I don’t know how I could have done this without all of you. To my Facebook Street Team, the bloggers who have enjoyed the ARCS and to the Book Avenue for hosting our Release Day Blog Tour – THANK YOU from the bottom of my heart. I hope that this book gives everyone the closure that Isa, Jesse and Alex deserve. I’m finally enjoying the silence in my head as a result of sharing their final chapters with you. As I write this, I am filled with peace and pride in the work that has been accomplished. I hope you enjoy the book as much as I enjoyed writing it for you.